A traditional Chinese group tour is very different from a private China trip. It is important that you are aware of the differences, so that you can make an informed choice about what type of China tour would be best for you. Though there are many types of group tour on the market for China now, the majority are still set-formula, lowest-cost, large-group tours. 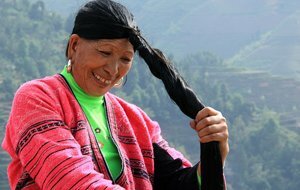 Here we cover the differences between private tours and Chinese-style group tours in China in seven key areas. 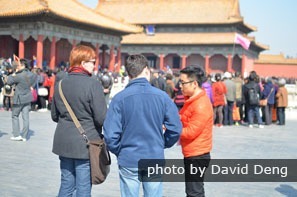 With a traditional Chinese group tour you will tour China as a nameless face in a crowd. Group tours are a timeworn routine that has been repeated 350+ times a year for decades. 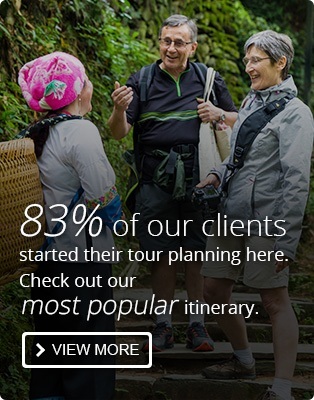 It’s possible for a group tour guide to have done almost exactly the same thing 10,000 times in his/her career! — the same walk, the same spiel, the same busload of nameless faces, which is treated as a money-making unit or “herd”. Travel in a private tour and discover the real China your way. With a private China tour the focus is on you from the start. Your own personal travel advisor will create an individual itinerary from your interests and requirements. You’ll always be referred to by name, and your guide will get to know you in order to give you the best possible personalized China journey. Your questions will be answered and your needs met. Chinese group tours always have a set start date. You join the tour like a wagon joining a train: stops are as short as possible, and there’s no flexibility. However, if you book late or at a busy time, you may have to book more expensive flight dates, or waste time arriving early and waiting for your tour to start. Also, if your flight is delayed, you may miss part of your tour. Cancelation refunds are less generous to non-existent for group tours. On a private China tour you can depart and return on any day you wish, giving you the opportunity to take advantage of international flight deals, and choose the best fit with your life at home. You can also stay as long as you want, where you want. This means you can experience China more deeply, instead of being rushed from place to place. With the flexibility of a private tour, it will almost always be possible to see your must-sees by rearranging the schedule, even if you experience delays due to the weather for example. You wouldn’t want to go all the way to China and miss the Great Wall because you arrived a minute late for the tour bus, would you? Chinese group tours are known for their profit-orientated (rather than customer-orientated) itineraries. 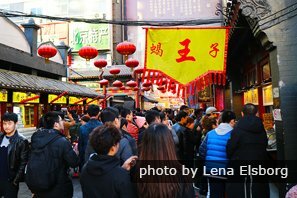 The minimum time is spent on the advertised attractions, and the rest is spent busing and herding the group around souvenir shops, factories, and other commission-earning enterprises. Everything is fixed. Even if you&apos;d rather not make another time-wasting "shop stop", you still have to trail round the aisles and endure vendors trying to sell you something. The overall experience is shallow and forced. Our private tour allows you to get close to local people and their life. 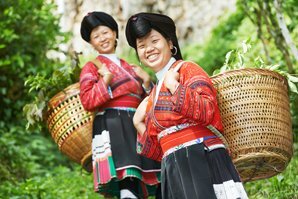 Private China tours are usually tailored to customer interests, to a greater or lesser extent. The key thing is that you should never have to go to an attraction, even less a shop stop, that you do not want to visit. None of your time should be wasted on undesirable experiences. Private tours are customizable, so you can indulge your interests and discover more about China. 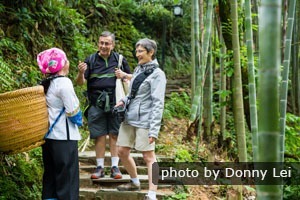 You could select a Chinese family visit to get to know local culture, or a tai chi class in a temple park, or a custom hiking and photography opportunity. 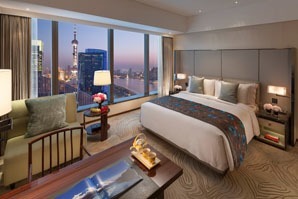 With an itinerary tailored to your interests you can have a China experience that’s uniquely yours. On a traditional group tour, much of your time will be wasted waiting around for the group to be ready, or being pushed to hurry up before you&apos;re ready to move on. Although you will get to do a lot each day, probably it won’t be how you’d choose to do it if you were in control. On a private tour, you can 100% control the pace and timings, with no time wasted waiting for anybody else. Move on when you&apos;re ready, or linger for that extra photograph, appreciative gaze, question, or rest stop. You can also catch more beauty sleep, or at least rest better, in your comfortable private transport with awesome air con. Private tours are particularly suitable for families with young children and those who are used to doing things at their own pace, whether faster or slower than average. On a group tour, you’ll have to endure all the run-of-the-mill, penny-pinching arrangements, perhaps the worst of which are the bus-tour toilet stops! You’ll suffer the noise and fuss of not just your tour group, but other similar groups too, all churning for position to see an average view. At the end of the tour, you can say you’ve been to China’s top sights for a bargain, but you may not be able to say you enjoyed them! Traveling “private and tailor-made” the possibilities are endless. Moreover, with a well-planned and executed private tour, you will have a far better experience at China’s main attractions like the Great Wall and Forbidden City. 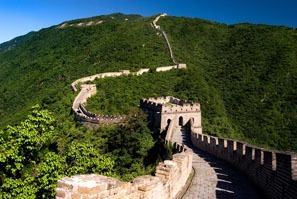 You can select the Great Wall section that’s best for you and explore it in a way that best suits you. In a group tour hotel, you’ll typically be sleeping on the hard mattresses Chinese people favor, in the same well-worn room used by the previous thousands of group tour participants. Expect minimal provision. Group tour hotels may have a smoky, musty smell, as most Chinese men smoke, and contracted establishments only make the minimum effort at cleaning to keep favor with the group tour firm. You won’t be allowed to change hotel, or even room probably. On a private tour, with the vast range of accommodation at China’s top destinations, your travel advisor will help you find the best hotel for you and your itinerary. If anything below Shangri-La standard would be slumming it, or you’d like to stay in a boutique Chinese-style courtyard residence, or a great view and peace and quiet are important to you, you should travel “private”. In China, not everywhere will have Sofitel’s "My Bed", but with private-tour customizing the hotel arrangements will be as close to your personal style as possible. 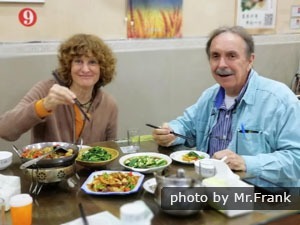 "Group tour restaurants all serve the same food" is a good generalization, though it will vary from province to province, depending on what can be mass-produced cheapest locally. You may need to tolerate the same (sort of) menu from day 1 to departure. This is especially bad news if you don&apos;t like it on day 1! For a rough idea, imagine steamed rice, fried egg, boiled cabbage, and fried pork and tomato for a week or more. Try different Chinese dishes at each place, instead of being served the same menus all the trip. On a private tour, you can really plan to explore the exotic variety of Chinese cuisine and discover its role in Chinese society. However, there is always the flexibility to change your choice of dishes, or even restaurants, as you go. Eat more of what you find you like, and be as adventurous as you want. Choice abounds in most of China. If you have intolerances or allergies a private tour is the way to go to ensure that you get served what you can eat with all the variety possible. Chinese group tours are cobbled together for low-on-money, short-on-time, hardy, compliant, and easily-pleased tourists. You will need to be tolerant, patient, able to put up with Chinese-style food, hotels, etc., and like touring as a big group. 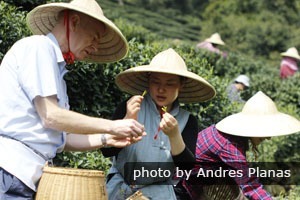 Private China tours are designed for quality-seeking, particular, discerning, ambitious travelers. If you have any of these traits, or require anything that group tours don&apos;t provide, or just don&apos;t like traveling in a "herd", then you should invest in a private tour. The alternatives are independent travel in China or a different foreign group tour or small group tour option. You may want to consider what is the Best China Trip Choice: Chinese or Foreign Tour Company. 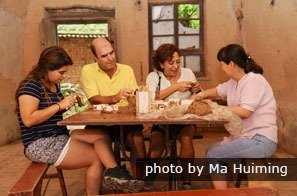 Enjoy a more peaceful and personal China experience with our private tours. Since 1998, we have been creating private tailor-made tours. 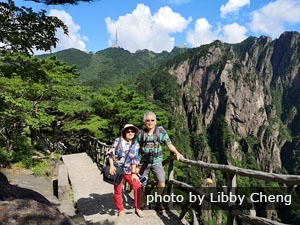 Our 100,000+ satisfied customers attest to the benefits of choosing a private China tour, having really discovered China their way. Our focus is you. All our most-popular tour designs can be cropped, lengthened, adjusted, augmented, and otherwise tailored to your requirements. Classic Wonders: 83% started here last year — Appreciate the wonders of Beijing, Xi’an, Guilin, and Shanghai more deeply with us in 11 days. 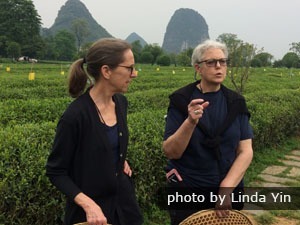 Find some inspiration on our China tours for 2019. 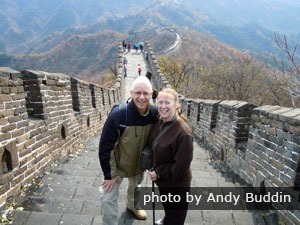 For more sample itineraries, see our China private tours pages. You can also start afresh, selecting your destinations and travel style, and telling us your interests. For a free bespoke itinerary and quote, use our Create My Trip service.